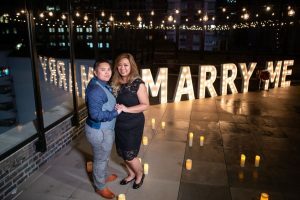 We create a unique idea for your proposal, based on your relationship. To do this, we first ask you to fill out our relationship quiz, and from your answers, we create 3 marriage proposal suggestions. We then email you these customized proposal ideas and highlight the recommended venues on a detailed map. You can then select the idea that you like most and we will get to work. Don’t worry about the little details: we will take care of all the vendors and venues, flowers and musicians to ensure your proposal is perfect. You know your partner better than anybody else, so this is the option where you create a unique experience for your significant other. You have the idea. You collaborate with the personal proposal planner and together you create the proposal of her dreams. After discussing and polishing your idea, the planner will start to design your proposal, taking care of all the details. She will send you a customized quote, once approved, all you will need to do is just to show up on your engagement. Select one of our ready-made proposal packages and enjoy a completely stress-free proposal. 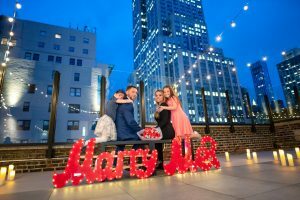 Our packages vary widely, from romantic picnics in any of NYC’s public parks, to announcing your proposal on a Times Square billboard. We also offer photography, videography and drone packages to add to your marriage proposal planning selection. 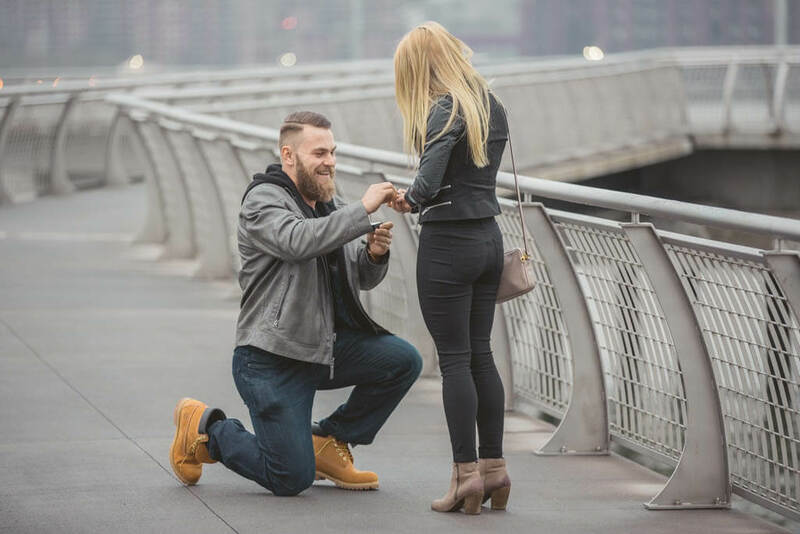 We will assign you a personal proposal planner, who will set up a Skype or phone session to make sure you get the best proposal idea most suited to you as a couple. We plan all the logistics, reserving the venue, booking talent, delivering flowers and discussing decorations. We send you maps, schedules and plans for where you and your partner should stand for taking the best pictures and videos of your proposal. We provide full general support for the day of your proposal, making sure that everything goes according to plan. We set up decorations, pick up your flowers and make sure our musicians and photographers are in place and ready. With our star photo/video/drone team we will capture the story of your big day, before, during and after the proposal, and create a proposal film and/or photo album of your special day. 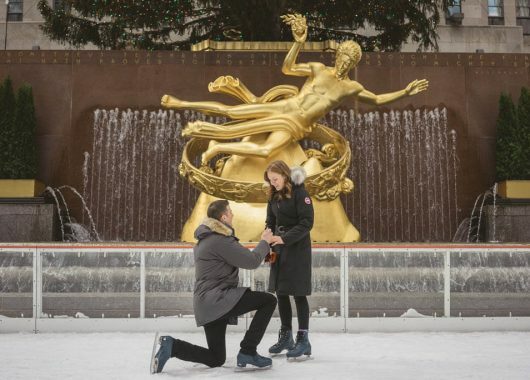 Matt and Amy romantic proposal at the Rockefeller Center! 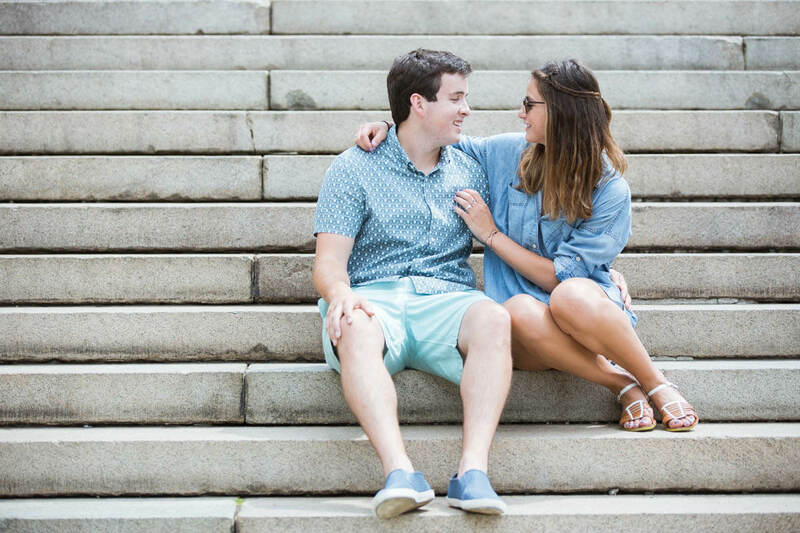 Brian and Angeli Washington Square proposal. 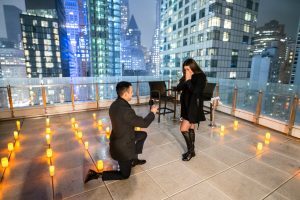 How to bring your girlfriend to the rooftop, without giving away a surprise? Proposing will be one of the most important moments in your life and so you want it to be perfect: we are here for you! On the day of your proposal, you need everything to go smoothly, and that’s where your personal proposal planner takes the wheel. 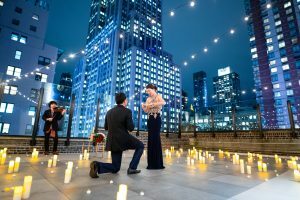 After your booking you will be assigned a personal manager who will stay in touch with you 24/7, there to make any final amendments and confirm venues, flowers, musicians, photographers, dry cleaners, cars and whatever else is necessary for creating the proposal of your partner’s dreams. We have shot more than 100 proposals over the last 2 years, and can guarantee beautiful results as well as friendly support. 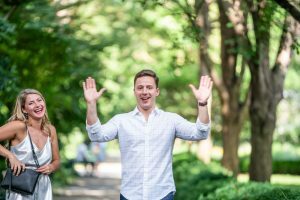 We will provide you with a detailed map including the location of your proposal, the best way to arrive there, and the best setup to make your pictures of the day look amazing. Our proposal planners are professionals who know how important this day is for you, and are ready to work hard for the best results. On the day of your proposal you want everything to go smoothly, according to schedule, and without any unplanned surprises. Our experienced team will be at work behind the scenes to make sure that every last detail is considered. 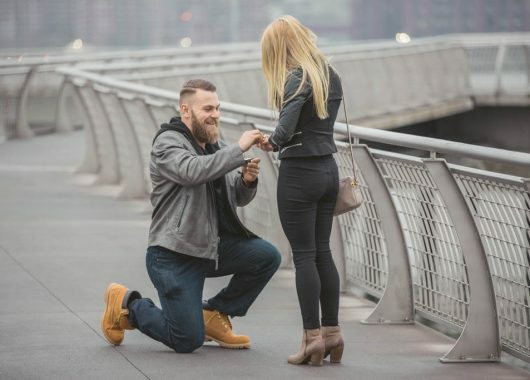 At all stages of the marriage proposal planning we work with you directly, taking all the unique things about your relationship into consideration. We present you with 3 proposal ideas and then work in detail with the one you have chosen. We can secure venues (minimum of 2 weeks advance notice required), will make sure that your musicians arrive on time, and prepare your flowers ahead of time. 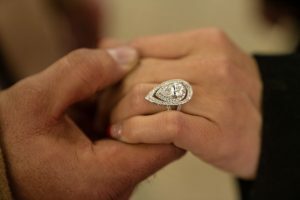 We will also provide you with a secret photographer or videographer to capture every wonderful second of your proposal. 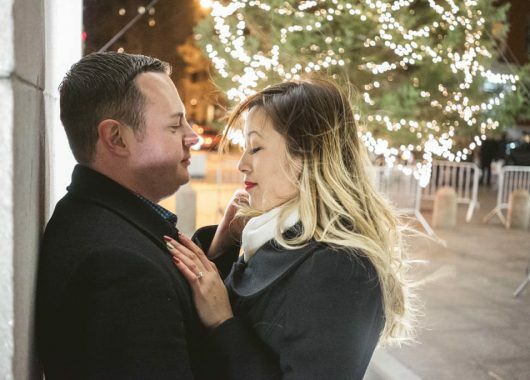 Central park is one of the best locations in NYC to propose. It’s beautiful, different and quiet. 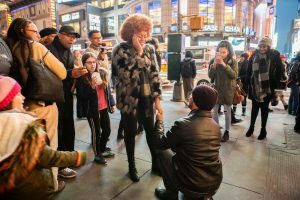 As a company based in New York City, Proposal 007 know the most romantic and intimate places in the park for popping the question. We can give you some great tips on the best times and places. For example, the park is particularly lovely and peaceful in the morning as the tourists have yet to arrive. While there, you can propose on Bow Bridge, made famous from the many movies filmed there, without being disturbed. Or you can take a romantic gondola ride and have a dinner afterwards at the Boathouse Restaurant. If you choose to make it more private, we can organize a picnic at the Sheeps Meadow or Strawberry Fields. During the fall when the leaves turn orange and red, it’s beautiful to walk down Central Park’s calm paths, or to take a horse and carriage ride. And don’t forget about the skating rink during the winter season. 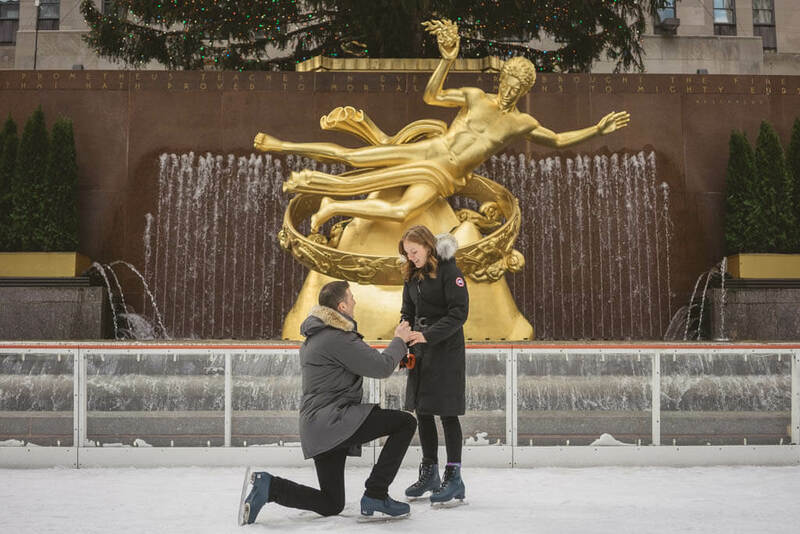 Request your proposal song and pop the question right in the rink with the music playing behind you. 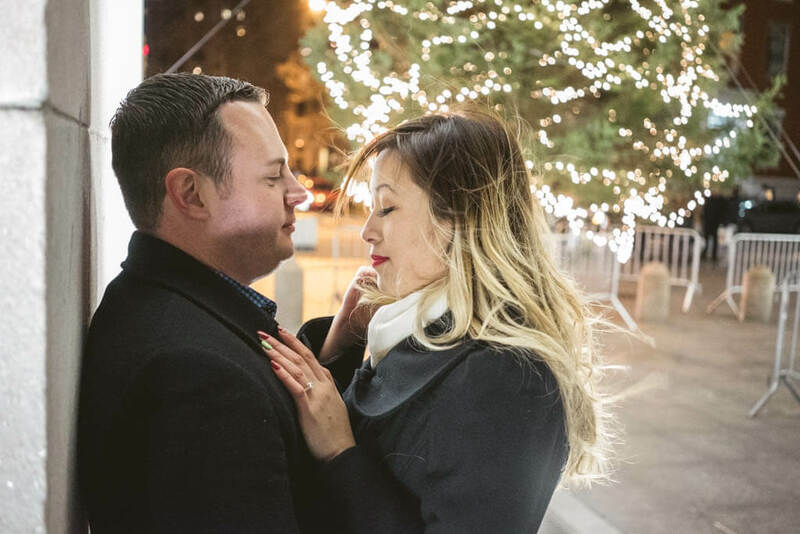 Central Park is probably the most flexible option for our couples because you can add almost anything you like to your proposal. You can hire a musician (violinist, guitarist), cartoonist, magician, or an entire flash mob to make your proposal truly memorable.